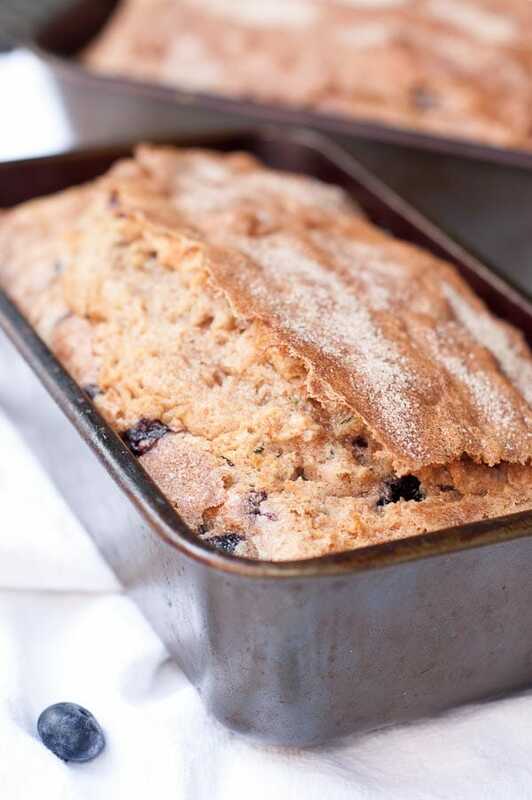 I was recently had a huge cache of zucchini and blueberries to use up, so Blueberry Zucchini Quick Bread was born. 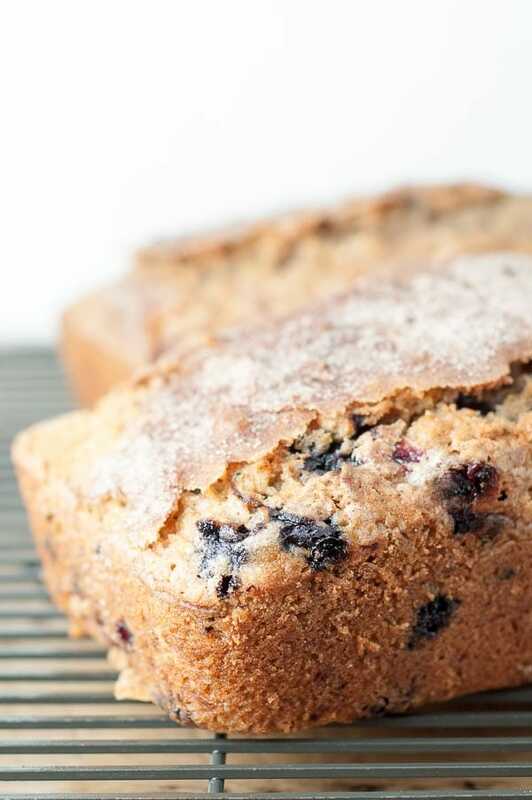 Everyone in the family happily gobbled up this moist quick bread filled with healthy homegrown blueberries and zucchini. It makes two loaves, so make one to slice up for breakfast, and give one away to a friend or teacher! All summer long we’ve stared at our garden, willing it to spit out some produce. We anticipated the fresh veggies even more so this season. In the spring Ryan went full throttle on security detail so the plants could finally grow as big as the sun and rain intended. He was over his wife morphing into Elmer Fudd upon discovering the rabbits ate the garden plants. Again. So, it was either build the Fort Knox rabbit fences or I’d start clubbing them with oversized zucchini. 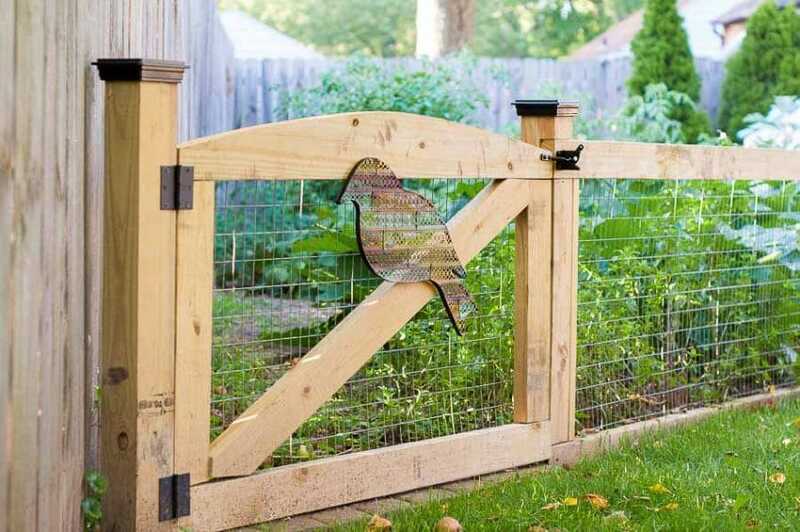 The fence won, our plants have enjoyed a protected sanctuary, and the kids no longer have to hear me dropping f-bombs in the garden (or observe cute rabbits being pummeled by their mother). It’s finally produce go-time, and I’ve been clocking some major hours in the zucchini factory. If you read my last post for Flourless Kitchen Sink Cookies, you know about the baking frenzy before our Michigan trip. Zucchini played a starring role in the bake-a-thon. We travelled with this Blueberry Zucchini Quick Bread, banana zucchini bread, zucchini peanut butter brownies, zucchini chocolate orange cake, and zucchini muffins. Obviously I had a lot of zucchini to contend with. All the different ways I combined zucchini, sugar, eggs, and butter inspired my son, Nolan, so much he planned out his (January) birthday meals. He did worry, however, about the lack of garden in the middle of winter. How was I going to make his breakfast of zucchini muffins, lunch with blueberry zucchini quick bread, and his birthday chocolate orange zucchini cake? No worries. Guess what fills our freezer now? Damn straight. Bags upon bags of grated zucchini. Anyone who grows zucchini knows it goes from all cute and manageable one day to alarmingly ginormous the next. If, for some strange reason, I don’t have time to use 34 cups of grated zucchini in one day, I portion out in the rest in two cup bags to freeze. When I’m ready to use one, I’ll thaw it out, snip a tiny corner, and let the excess water drain out. If you don’t own a food processor to reasonably grate 34 cups of zucchini, just chuck the large ones at infiltrating rabbits and make sure to harvest only cute, manageable ones. 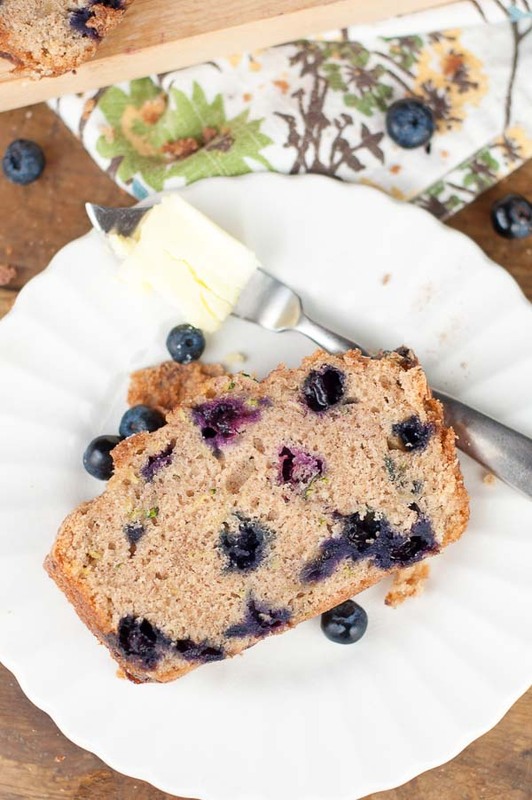 Blueberry Zucchini Quick bread combines healthy blueberries and zucchini in a moist quick bread with a cinnamon sugar crunchy topping. Preheat oven to 350ºF. Spray 2 loaf pans with cooking spray. 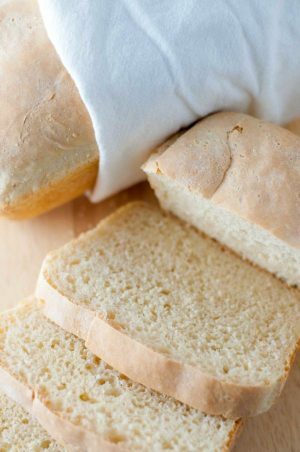 Line the bottom of the loaf pans with cut-to-size wax paper or parchment. Spray paper and set aside. 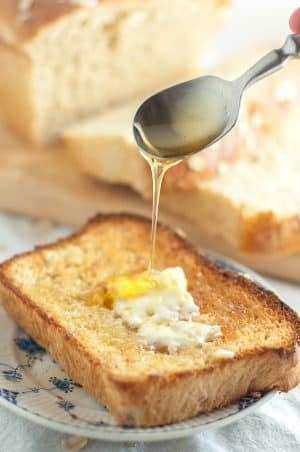 In a large bowl beat together eggs, oil, vanilla, and sugar until very well combined. Beat in zucchini, salt, baking powder, baking soda, and cinnamon. Then beat in the flour. Gently fold in blueberries (if you don't want your blueberries to sink down to bottom of pan while baking, toss with 1/2 tablespoon flour first before adding to batter). Transfer between the 2 loaf pans. 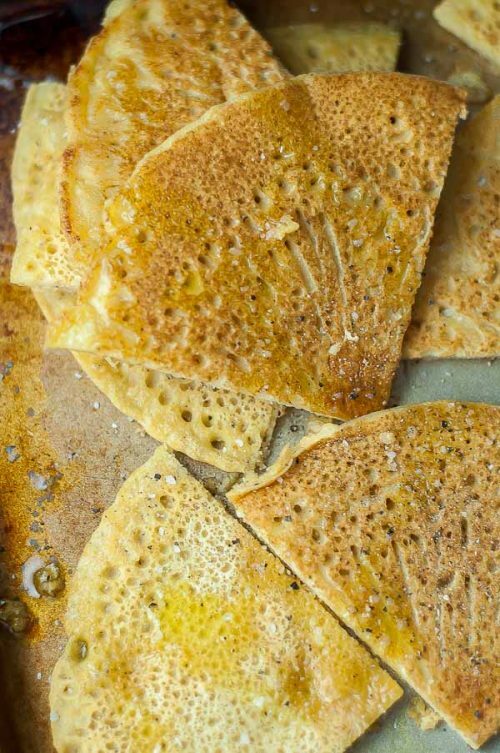 Combine the topping ingredients and sprinkle over the top of the batter in the 2 pans. Bake for 50 minutes (5-10 longer if using gluten free flour) or until knife inserted at center comes out clean. Cool 10 minutes in pan and then turn onto wire rack to cool completely.